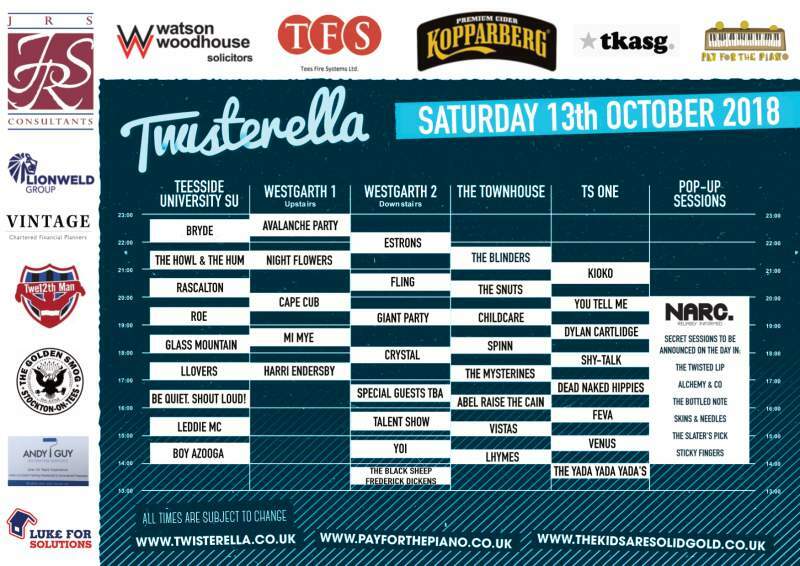 Taking place across a variety of venues in Middlesbrough on Saturday 13th October, this year’s instalment of metropolitan music festival Twisterella have surpassed themselves once again with their line-up. The festival makes good on their aim of bringing some of the most exciting up and coming bands and artists to the region, with the local contingent well represented too. Check the poster above and our list below for stage times – there’s lots of surprises and stage announcements to come too! 4pm-4.30pm – Be Quiet. Shout Loud!